You will receive all information about the lesson, a vest for your child with a name tag and a skiing diary on the counter. Dress children appropriately according to the current weather conditions. 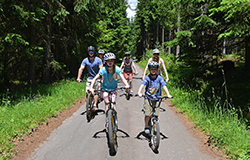 Helmet is an obligatory part of every child's equipment. Make sure that your child has a suitable, well-set skis. You will meet your instructor 3 minutes before the start of the lesson. The meeting point is between the main parking and Fox Park (at the black flag). 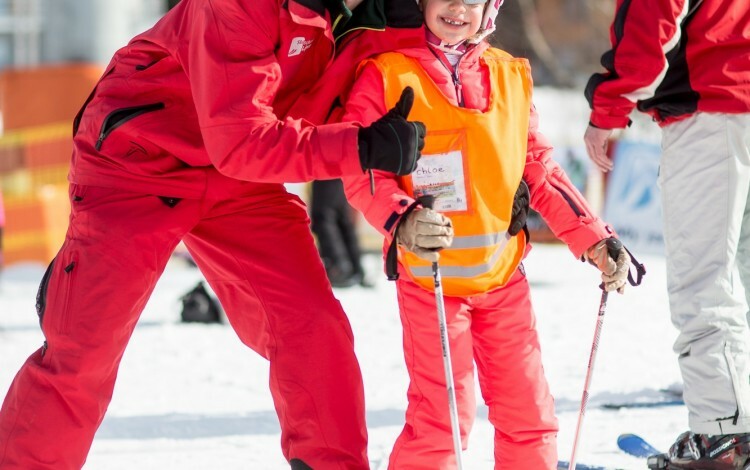 You will discuss with your instructor the level of skiing of your child and the target of the lesson. He will tell you where the lesson will be held, where and when you will meet after the lesson. You will also specify the telephone contact in case of unexpected situations. The presence of parents in the lesson is undesirable, mainly in case of small children, who are easily disturbed. You can watch them from the crowd so they cannot see you. The instructor terminates the lesson at the meeting point, where it has started. It is necessary to be there in time so that the instructor and the children do not have to wait. The instructor evaluates the lesson, writes down the child's progress into the diary and tells to the parents about the next steps. For the beginning skier - leardn to ski in one day! Here you will receive all information about the lesson. Get ready your skis – suitable and well-set. Bring your helmet. It is not mandatory however highly recommended for your safety. Have a sun or ski goggles by you. If you are an advanced skier bring the ski poles, we do not use them for beginners. You will meet your instructor 3 minutes before the start of the lesson. The meeting point is between the main parking and Fox Park (at the black flag PRIVATE SKI). You will discuss with the instructor your level of skiing and the target of the lesson. 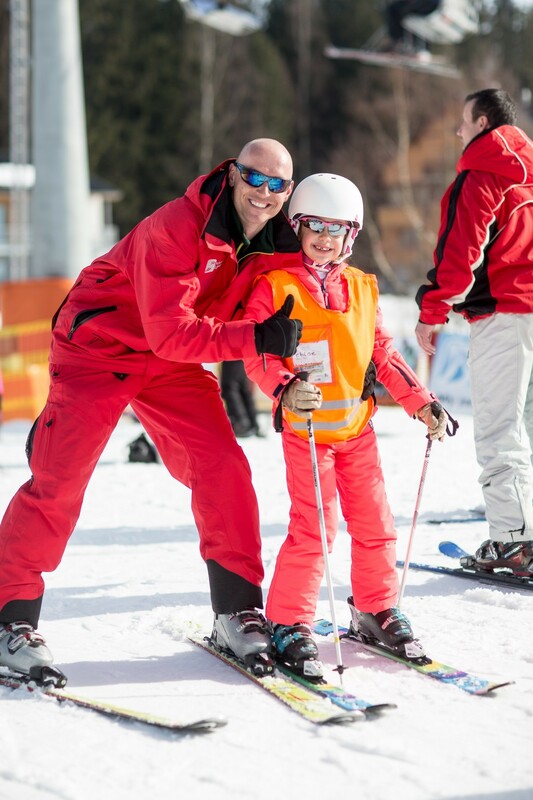 Teaching is fully adapted to your skiing skills and goals of the lesson. Each lesson begins with a warming up and stretching. Beginners learn the first moves on the skis like walking, downhill ride, safe stopping or an easy slalom. 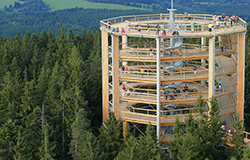 After the safe stop and the basics of turning, you can leave the Fox Park (area for beginners equipped with magic carpets) and go down the easy blue slope. Slightly advanced skiers will show their skills to the instructor. If they can stop and know the basics of the turning, they can go to the slope. Advanced skiers go straight to a suitable slope. 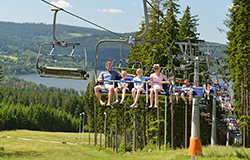 Participants of private or family lesson do not need any ski pass for the time of the lesson, instructor opens the gate of the chairlift for you. 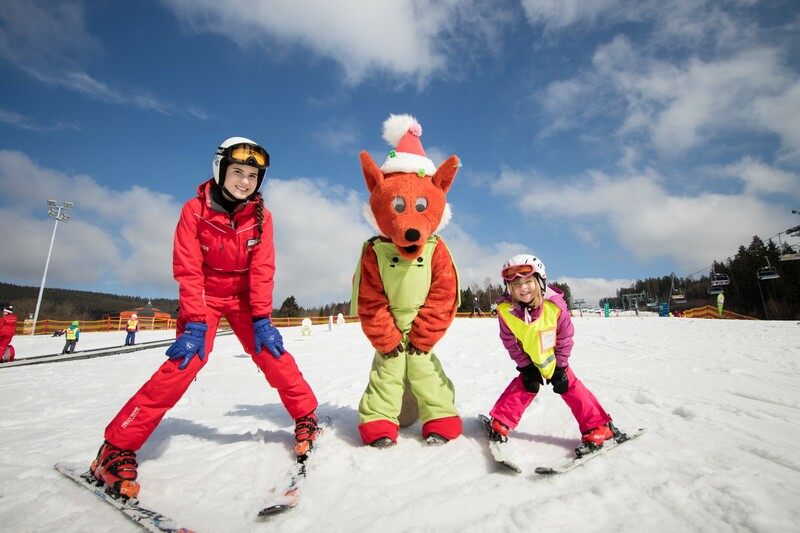 The lesson takes place on the slopes, which are the most suitable for you. During the lesson, the instructor will give you for various tasks, exercises, and tips for improving your skiing. The instructor terminates the lesson at the meeting point, where it has started. He evaluates the lesson, gives you last tips for the skiing on your own or recommends the steps for next lesson. 1-hour lesson lasts 50 minutes - daily 9:00 a.m. to 4:00 p.m.
Evening lessons - daily 6:00 to 8:00 p.m.